Home Jobs in Chennai Jobs in Diploma Jobs in Experienced Jobs in Freshers Jobs in TATA Walk-In Jobs TATA Business Support Services Walk -in Drive Jobs Opening @ Chennai Apply Now. TATA Business Support Services Walk -in Drive Jobs Opening @ Chennai Apply Now. 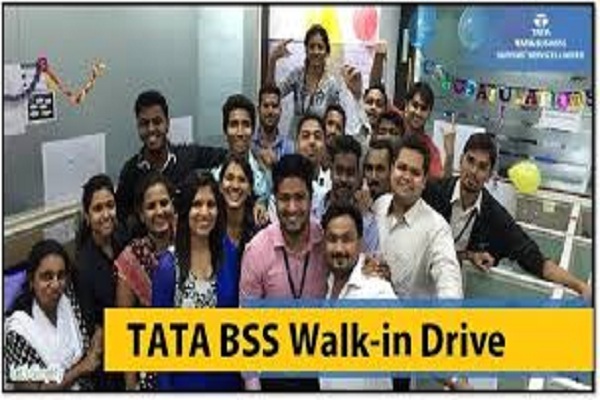 TATA Business Support Services Ltd Walk-in Drive Jobs opening 2018-2019 download application at www.tata.com. TATA Business Support Services Ltd has invited applications from interested, eligible candidates to fill in the vacancies Interested candidates can apply on through official website. who have not applied until now can follow the instructions below and apply Online. TATA Business Support Services Ltd Walk -in Drive Jobs Opening @ Chennai Apply Now. Company: TATA Business Support Services Ltd.
We have an Urgent requirement at TATA BSS for CCE profile. Please refer to below mentioned job desciption and come for face to face interview as early as possible. Candidates should be Graduate/ Diploma/Under Graduate from Any field can apply. RR Towers III, 5th Floor.